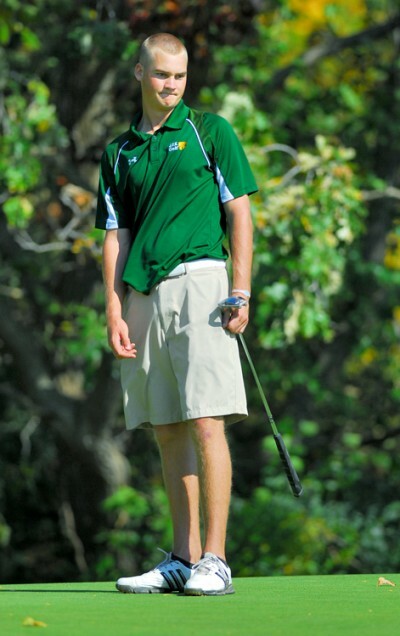 IOWA CITY – The six seniors on the Kennedy boys golf team were hoping to close their stellar high school careers with a state championship but settled for a fourth-place finish Saturday in the Class 4A meet at the Finkbine Golf Course. “I don’t want to use the word disappointed, because that doesn’t sound right for this group of kids,” said Cougar Coach Mark Wilden. “Still, I know they would have liked to have done better than fourth. Their season-long pacesetter, Cody Bell, started the second day of the tournament tied for 11th place after an opening-round 79 but came back Saturday with a 75 to tie for sixth. He placed fourth in the state last year. In reality, neither he nor his teammates had much of a chance to overcome the contingent from West Des Moines Valley. Led by medalist Jeff Swegle, a sophomore who shot an even-par shot 144 par over the 36 holes, Valley took the team title with a total score of 607, 17 strokes better than runner-up Waukee. Dowling Catholic of West Des Moines was one stroke behind at 625 for third, and Kennedy came in at 634. 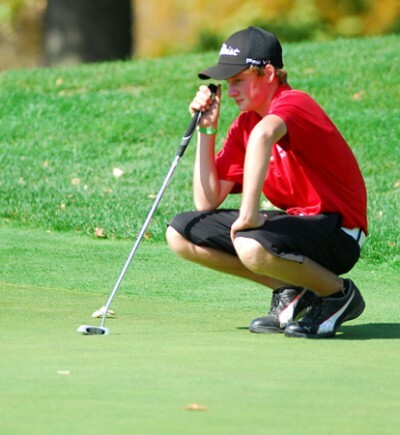 Linn-Mar, the only other Metro school in the 12-team tournament, finished in next-to-last place with a 660 total, seven strokes in back of Iowa City City High and three better than Bettendorf. “With our five seniors on the team, our goal was to finish in the top five,” said Lion Coach Steve Kahler. “I know the kids are disappointed. We were about 20 strokes over our season average and had a bad couple of days. Lion senior star Tyler McCann rebounded from a disastrous first-round 87 with a 77 on Saturday to claim a tie (along with Kennedy senior Tyler Kalina) for 36th place among individuals. Linn-Mar’s low scorer was fellow senior Trevor Berry, who had rounds of 79 and 81 to finish tied for 22nd with a 160 total. He was matched by Kennedy senior Brigham Stewart, who shot an 80 both days. “I’m a little disappointed in how I played,” Stewart said. “And I wish the team could have finished higher in our last tournament together. The lone junior among Kennedy starters, Harrison Moore, shot a 78 on Saturday and paired it with a first-round 81 to tie for 18th at 159. 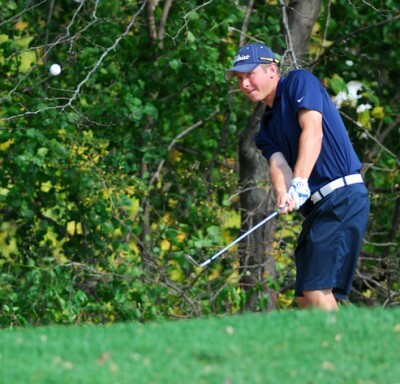 Cougar senior teammate Mitch Martin tied for 25th with a two-day score of 162. On one hole, for instance, he had a 30-foot downhill putt for a birdie. He hit his shot past the hole and ended up four-putting for a double bogey. Qualifying for individual honors, Xavier senior J.P. King began the day tied for eighth following a first-round 78. He tailed off with an 82 on Saturday to close at 160 in a tie for 22nd. But King and his Coach Tim O’Brien said it was a good way to finish up his senior season. For his part, King said he started out well. Kennedy's Wilden could say the same about his group of close-knit golfers over the past four years. They finished fourth in the state twice, third once and runner-up once.